When I heard that I was going to be an aunt to another nephew, I couldn’t wait to design a new baby boy crochet blanket for him! With it being so hot outside here in Texas, I enjoy crocheting for my loved ones and staying cool. Baby Camden was born right before our June 2013 wedding to my husband’s cousins in St. Louis. I really didn’t have the time to dedicate to his blanket. A few months late, but as you can see… it was worth it. 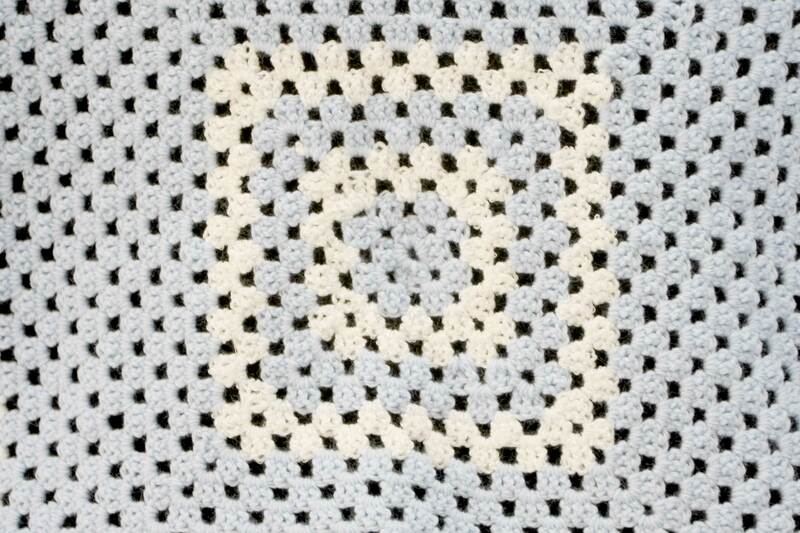 Camden’s blanket is a pattern called Sugar Pop from the Crochet Crowd. 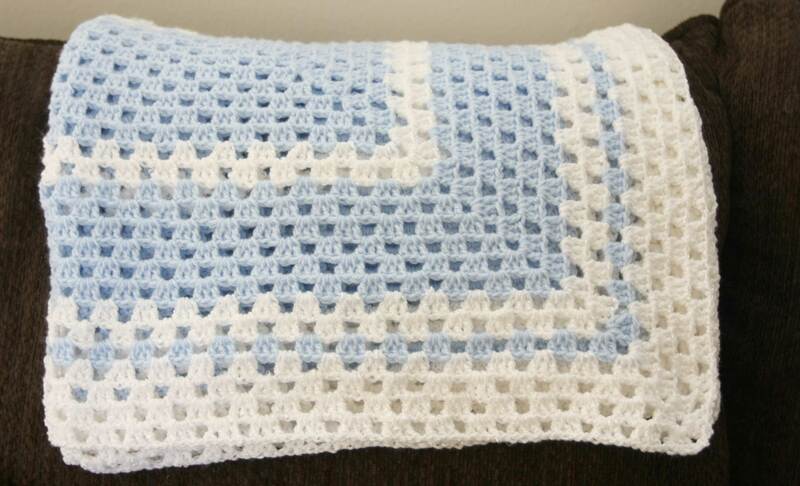 I designed the color patters with Bernat baby yarn, alternating rounds of blue and white. I can’t wait to send this to St. Louis and see a picture with Baby Camden! We will have to wait until January 2014 to see Baby Boy Hurt! His blanket is a Sugar & Shine pattern from the Crochet Crowd. 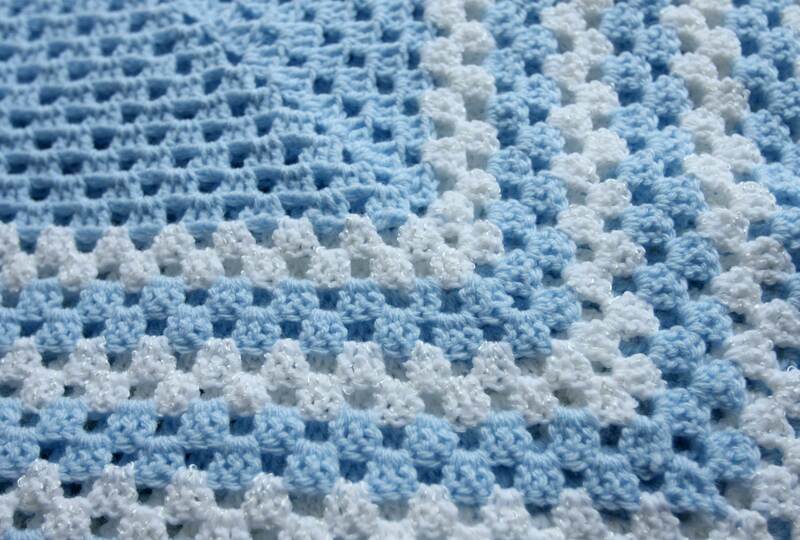 I used the same Bernat baby yarns for his blanket. I switched up the design pattern to give it a sporty look as well. I can’t wait to meet my new nephew! 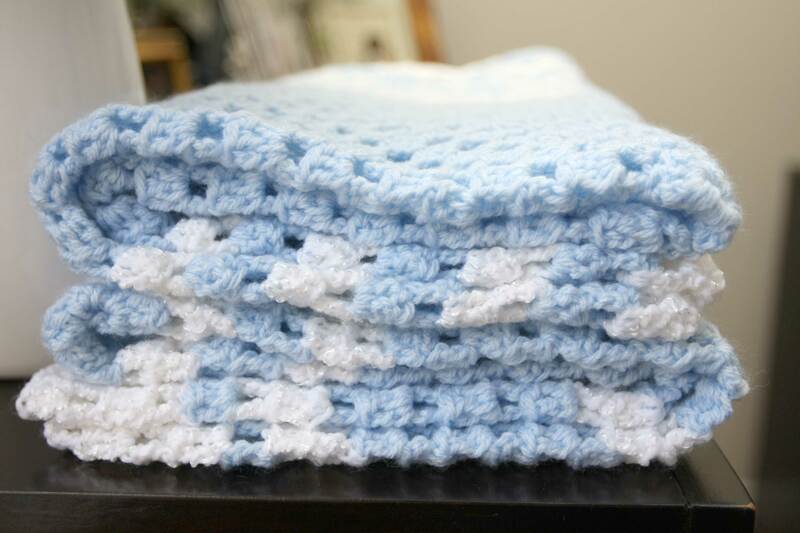 These blankets make great keepsake gifts! They are super easy to do, and the video tutorial shows you step-by-step!